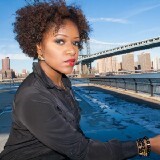 Marsha B. is a journalist from Brooklyn, NY. She in the owner of IntrovertNtheCity.com, a lifestyle website that aims to inspire and empower. Is it possible to walk down the streets of New York without being cat called?